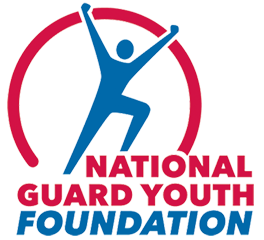 The National Guard Youth Foundation (NGYF) congratulates Ms. Jocelyn Cervantes, a graduate of the Sunburst Youth Academy in Los Alamitos, Calif., for being selected as the October Cadet of the Month. Ms. Cervantes will be awarded a $1,000 scholarship from L-3 Communications, generous supporters of NGYF and the ChalleNGe Program. Like most teens, I wasn’t headed in the right direction. From a young age, I had seen it all: gang violence, murder, blood, drugs and much more. I did things that I wish I could go back and undo. Never in a million years did I think I would ever come across a program like Sunburst. Sunburst has shown me how to value myself and everyone around me. They showed me self-discipline, integrity, honor, commitment, motivation and most importantly, respect for others. They helped me build myself back up into someone different; someone that I never knew existed in me. I am now stronger and independent. If you would have asked me a year ago where I saw myself in the future, I honestly would have nothing to say. If you ask me now, I’d say I see myself working in the government as a Social Worker. I see myself in my own house, living off of money that I have earned and maybe have a family of my own away from bad neighborhoods and worthless violence. As a Social Worker, I will help kids bring out their inner confidence, make them feel safe in their environment and become successful despite what their past has been. Helping young kids won’t help me go back and fix my childhood but it will make me happy knowing I’m helping and even saving a child’s life!